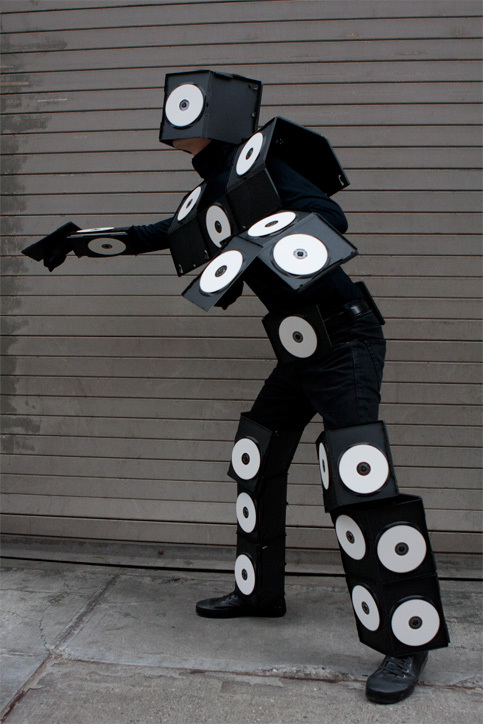 This costume represents the “Death of Discs,” especially CDs and DVDs, and foreshadows the end of Blu-ray and spinning hard drives. 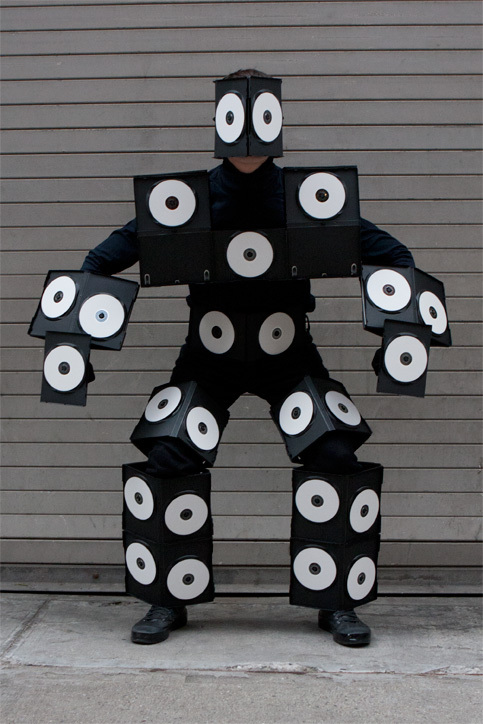 It is made of DVD cases and blank DVDs, which are either free or very inexpensive as they approach obsolescence. 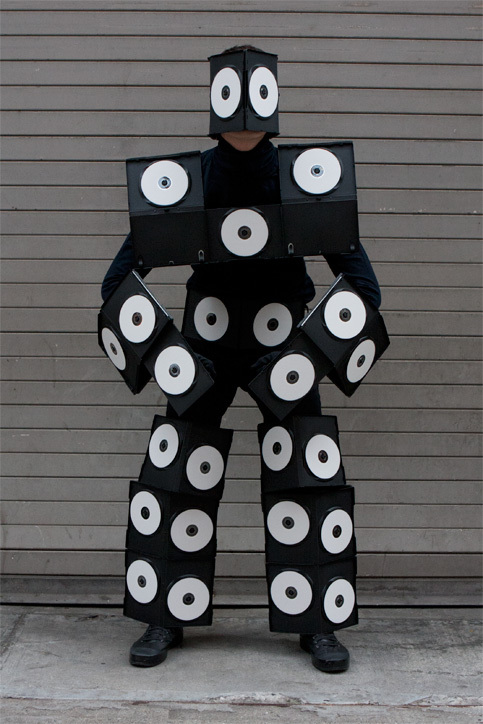 The concept for this costume came from my Death of VHS costume in 2004, which was made from discarded VHS tapes. Thank you to Catherine Leung for taking these photographs. Free: 16 single-disc DVD cases. Bought: 10 dual-disc DVD cases ($4.29), 50-pack of white printable blank DVDs ($12.50). 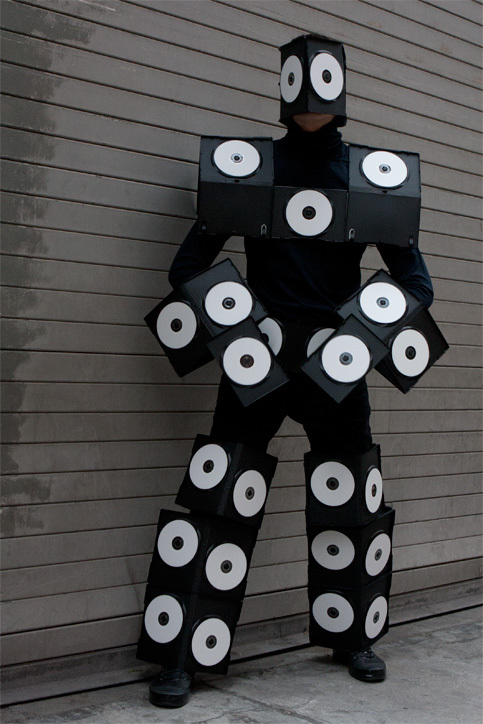 Already owned: black jeans, black turtleneck, black Y-3 high top shoes, gaffer’s tape, black elastic bands, X-acto blades, gaffer’s tape, scissors.